Defenda Leaflet Distribution is experiencing sales increases of over 300% as more & more marketing companies & advertising agencies turn to leaflet delivery in their search for new ways to spread their clients’ message. 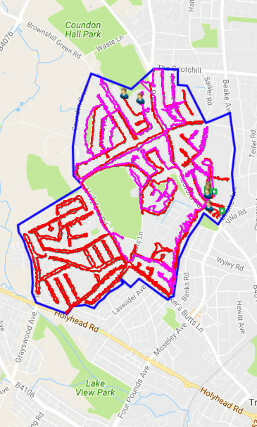 Defenda Leaflet Distribution is a direct marketing company based in the Midlands, which provides leaflet distribution services throughout the UK. All distribution work is carried out by our own teams of distributors and unlike many of the ‘leaflet distribution brokers’ that are springing up and passing work to un-vetted distribution companies around the country, we take full responsibility for your delivery & ensure the work is undertaken to the very highest standards. 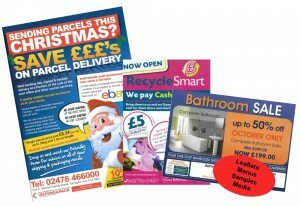 Leaflet distribution provided by a professional company is not only a sure way to generate enquiries & sales, but is often infinitely more targetable & far less costly than a newspaper advertising campaign. Promoting sales through leaflets has long been a preference amongst pizza companies & other fast food chains, but is rapidly growing more popular amongst a far more diverse clientele: with many customers reporting that ‘if they had only known how effective it was, they would have done it years ago’. On the negative side, others have said that: ‘in the past they had used other distribution companies that had not delivered their leaflets & had not found it an effective means of promoting their business’. Bad experiences due to selecting the wrong distribution partner are hampering many organisations in their drive for additional business & we urge anyone that has tried leaflet distribution to poor effect in the past to contact us. We are confident that our transparent, professional service will restore their confidence in this exceptionally effective advertising method.